Patrick J. Adam is vice president of strategic accounts for Donatech, a software engineering company in Fairfield with a heavy emphasis on aerospace/defense and advance manufacturing. He is experienced in business-to-business sales, general operations, and recruiting support. (Donatech was the highest-rated and largest staffing supplier to Rockwell Collins in 2017.) Adam has a bachelor’s degree in business administration from the University of Iowa. Sherry Becker is executive director of NIVC Services Inc., a nonprofit based in Mason City that provides job placement to individuals with disabilities through its coffee shop, thrift stores, and manufacturing-related divisions. NIVC was named one of the 150 Top Workplaces in Iowa in 2015 and 2016. 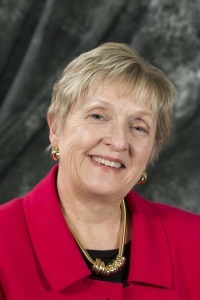 Becker holds a bachelor’s degree in social work from the University of Iowa and a master’s degree in rehabilitation counseling from Drake University. Ryan DeBarr is president and chief operating officer of Miracle Tools America LLC in Davenport. The company manufactures solid carbide cutting tools and is a joint venture of Mitsubishi Materials Corporation in Tokyo and M. A. Ford Manufacturing Company in Davenport. DeBarr received his bachelor’s degree in industrial technology from Iowa State University and a master’s degree in business administration from Saint Ambrose University. Rob Denson has been president of Des Moines Area Community College since 2003. DMACC, operating from Ankeny and 12 other locations, offers 153 programs and short-term certificates designed to train central Iowans for jobs. Denson has a bachelor’s degree in political science and economics and a master’s degree in higher education administration, both from Iowa State University. He also has a law degree from the University of Florida and operated his own law practice for 16 years before leaving in 1996 to begin working for community colleges in Florida and Iowa. 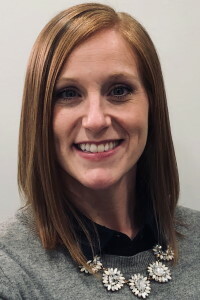 Sandy Ehrig is economic development administrator for the Iowa Farm Bureau Federation, where she works to connect business and resource providers with the federation’s Renew Rural Iowa program. Ehrig is a former administrator for community development at the Iowa Department of Economic Development and a past president and secretary/treasurer of the Professional Developers of Iowa. She is a graduate of Wartburg College in Waverly, as well as of programs at The Institute for Organizational Management and the Economic Development Institute. Rand Fisher is president of the Iowa Area Development Group (IADG), which was established in 1985 to increase investment, jobs, and electricity usage in the communities served by Iowa’s consumer-owned rural and municipal electric companies. Fisher is a former executive assistant to the Iowa governor and has served on a verity of task forces involving insurance recruitment, rural health care, and high technology. He has a bachelor’s degree in government and communications from Luther College in Decorah and a master’s degree in public administration from the University of Iowa. Bob Hickman is president and owner of Chenhall’s Staffing and HR Network in Davenport. A former accountant for McGladrey and Pullen, the nation’s fifth-largest accounting and consulting firm, he eventually became responsible for the firm’s entire HR and recruiting functions. Hickman has experience in recruitment and staff augmentation at all levels, as well as payrolling and temp-to-hire services. In addition to working with various community groups, he is active in Beta Alpha Psi (the national accounting fraternity) and the Diversity and Inclusion Committee of the American Institute of Certified Public Accountants. Brad Jungling is director of operations for Pella Corporation in Pella. His area of expertise includes Lean manufacturing, manufacturing plant management, and servant leadership. Jungling has a bachelor’s degree in industrial production technologies from the University of Northern Iowa. He previously has served as a school board member and a football coach at Pella Christian High School. Gail Kotvail is a program manager at the Iowa Economic Development Authority (IEDA), where she serves as liaison with the Iowa Innovation Council, a group that recommends public policy and strategies to support innovation and entrepreneurial activities. Kotval, who has worked for the IEDA since 2000, previously worked as an insurance company marketing specialist. She has bachelor’s degree in business administration for Buena Vista University, and was deemed a certified public manager by a program at Drake University. Mary Landhuis is president of EZ Way, a maker of patient-handling medical devices in Clarinda. Her previous experience includes work in corporate communications, marketing, public relations, sales management, and manufacturing management. Landhuis has a bachelor’s degree in organizational studies from Northwestern University. She currently sits on the boards of Lisle Corporation, Cardinal Fund, and the Iowa Association of Business and Industry. Amy Lank is president of American Power Systems, which provides advanced mobile electric power solutions – including products and related design and engineering services – to companies who make armored, security, commercial, fleet, marine, and alternative-energy vehicles around the world. In 2017, Lank received the Entrepreneurial Innovation and Leadership Award from the Technology Association of Iowa. Lank also is a member of the Association of the United States Army. She has an associate’s degree in accounting and is currently pursuing a master’s in business administration through the Accel Program at St. Ambrose University in Davenport. Mike Ralston has been president of the Iowa Association of Business and Industry since 2005. Before that, he spent nearly three years as Director of Revenue for the state of Iowa and three years as director of policy and law in Iowa for Quest Communications. Ralston also is a former president of the Iowa Taxpayers Association and a former mayor of Grundy Center. He has a bachelor’s degree from the University of Northern Iowa, which recognized him as an outstanding alumnus in 1992. 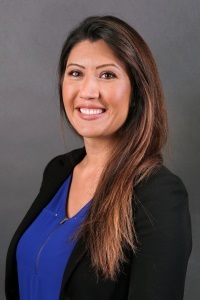 Danielle Roecker is a director of information technology at Nationwide Insurance, where she works with teams to provide technology solutions for their internal and external customers. She has worked for Nationwide over 15 years and has been part of their Agile and Lean software development since its inception. Roecker has a Bachelor's degree in Management Information Systems from Iowa State University and also holds a Master's of Business Administration. Janet Sparrow is cofounder and vice president of people at Milkhouse Candles, an Osage company that makes clean-burning candles from natural soy and pure beeswax. Milkhouse Candles started as a hobby in 2002. Sparrow spent 14 years as an occupational therapist before joining Milkhouse full time in 2014. In 2015, Milkhouse was named an Elite Business of the Year Finalist and received Iowa Farm Bureau’s Renew Rural Iowa Entrepreneur Award. Sparrow has a master’s degree in occupational therapy and a bachelor’s degree in psychology, both from St. Ambrose University in Davenport, Iowa. Don Woodruff is president of Woodruff Construction, a Fort Dodge-based company that provides general contracting and construction management services for a wide variety of projects, including commercial, corporate office, health care, industrial, institutional, warehouse, and production facilities. He is deeply involved in strategic planning, efficiency, personnel advancement, and the transfer and sharing of knowledge. Woodruff has a bachelor’s degree in civil engineering from the Florida Institute of Technology and master’s degrees in business administration and construction management from Washington University in St. Louis. He received an Outstanding Achievement Award from the Florida Institute of Technology in 2005.